20 miles of dirt and it's connected to trail networks? that's pretty awesome. I wish. There is probably 3 miles of pavement in each direction, unfortunately. 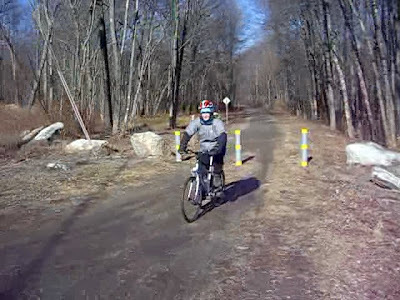 The Larkin Bridal Trail that goes from Soutbury to Naugatuck, 11 miles each way, dirt the whole way. So, it's kinda like the region near the air line trail? Yes, the Larkin is very similar to the airline trail. That's a great gravel grinder training course, 11 miles of uninterrupted gravel (with a few exceptions).